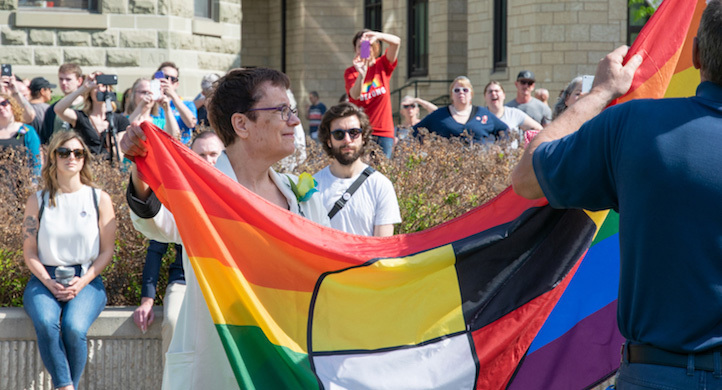 More than 50 University of Winnipeg faculty, staff, students, athletes, alumni, family and friends marched in the 31st annual Winnipeg Pride Parade on Sunday, June 3, 2018. The parade wrapped up the University's 11 days of on- and off-campus Pride events, including a Queer Alumni & Friends Cocktail Party, a flag raising, and a Pride Film & Speaker Series. 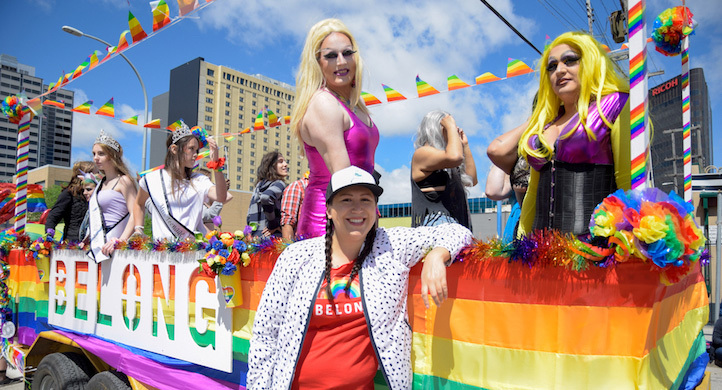 UWinnipeg's float design included the tagline "Belong," which celebrates the diversity, inclusivity, and strong sense of community on our campus. 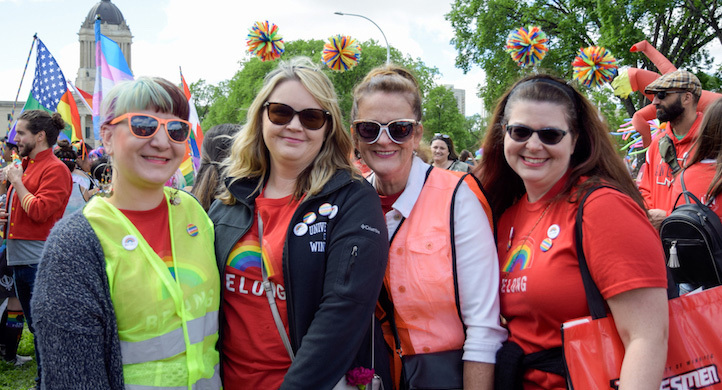 Marchers also wore T-shirts with the same message — these are available for purchase in the UWinnipeg Campus Store or online and $5 from each sale goes towards our new scholarship for students in the 2SLGBTQ* community. 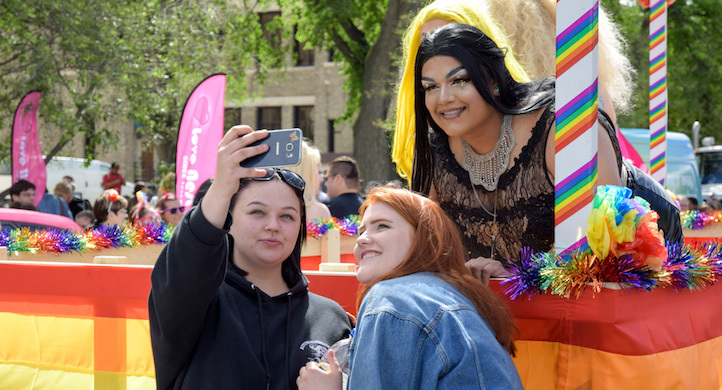 The Campus Store sold 91 "Belong" T-shirts at the Winnipeg Pride Festival at The Forks on Sunday, raising $455 toward the scholarship. Thank you to everyone who donated food and merchandise: Diversity Food Services, The Faculty of Arts, The Faculty of Science, The Faculty of Business & Economics, The Faculty of Graduate Studies, Norm 'n Nate's Catering, Oh Doughnuts, PACE (Professional, Applied, & Continuing Education), UW Recruiting, The Sustainability Office, and Wesmen Athletics. Thanks to everyone who marched with us and participated in our Pride celebrations. 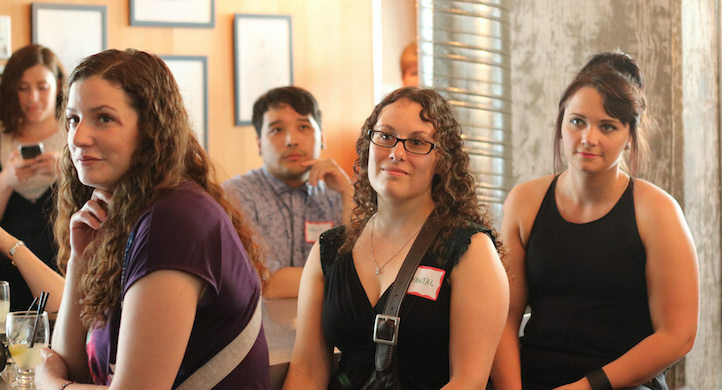 Events like these help to make UWinnipeg a safer and more welcoming place for 2SLGBTQ* students, faculty, and staff. 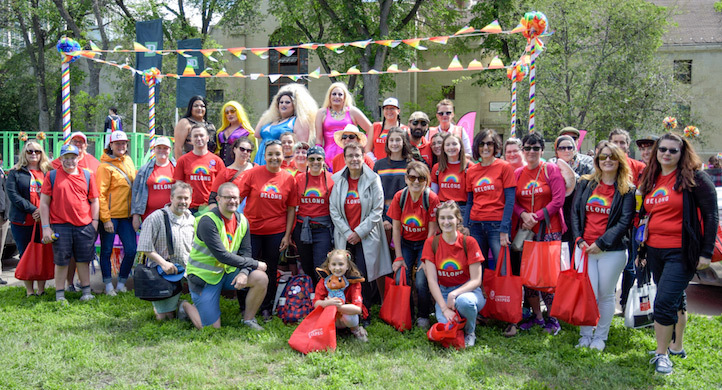 A special thanks to those who volunteered on the 2018 UWinnipeg Pride Committee (in alphabetical order): Stacey Belding, Chris Campbell, Helen Cholakis, Michael Dudley, Deanna England, Chantal Fiola (Co-Chair), Levi Foy, Jarita Greyeyes, Erin Heroux, Inga Johnson-Mychasiw, Jeannie Kerr, Kelsey Lambert, Sharon Leonard, Brett Lougheed, Andrea McCluskey, Laurel Repski, Sandra Shapiro, Leanne Shumka, Catherine Taylor (Co-Chair), and Eva Wasney. Thanks as well to Physical Plant folks who helped to ensure our events went smoothly throughout Pride: Ed Duval, Ron Klassen, Kyle MacDonald, Mike Thul, and Brian Wait.